It’s never a pleasure to have to complain about something. It means there’s a problem and we all already have enough of those in our lives without more piling on top. So it’s something done out of necessity, or out of anger at the failure of something – an item or a service – we’ve bought and want corrected. The very best way to complain is in person – face-to-face contact can usually achieve results. But all too often that’s not feasible. You might have to deal with an office hundreds of miles away, or you simply don’t have time to go back to the shop where you bought the goods, especially if it’s out of town, as so many shopping centres are these days. So we rely on the next best thing – the phone. Unlike e-mail, you’re actually in direct contact with someone, you can get the complaint off your chest, and you will receive a reaction. It offers immediacy. But does it bring results? All too often, it doesn’t. You’re simply shunted from department to department, which can become an exercise in frustration. There are, however, ways you can complain constructively by phone. Before you even pick up the phone, think about what you want to achieve with your complaint. Do you want to exchange the item or have a refund? If it’s a service, what exactly do you want? Have you checked into your legal rights on the matter – that’s always a good first step, because it gives you proper grounds for your complaint if you know the law is behind you. If the complaint is about a defect, start a diary with notes about the problem – a diary is good for all complaints, really. Do you have the appropriate receipts? If there has been any correspondence about the matter already (an order, or some such), make sure you have copies collected with the diary. When you call up to make a complaint, always be polite; there’s another human being at the other end of the line, even if it’s one who can’t always help you. It’s fine to be firm, and even assertive about what you want, but remember to be civil about it. Degenerating into shouting and anger actually achieves nothing at all. 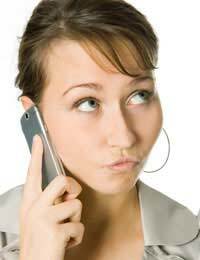 Take the names of everyone you talk to and note them all, along with call times, in your complaint diary. If it becomes necessary to eventually go to court, the more complete your records, the better your case. You should also make notes of what was said, on both sides, during the call. Calls are good, but follow up in writing, too. What you really want is for the supplier to put things right for you, whether you’re talking about goods or a service. So it’s worthwhile to be reasonable and give them that chance before invoking any legal rights; any manager you speak with should be aware of legal positions anyway. If your first round of phone complaints don’t work, don’t give up. It’s worthwhile trying again to see if you can achieve more success. If you’re still having problems, you could take your problem to an organisation like Consumer Direct, which can bring more governmental muscle to bear on the problem.